O Devi we bow before you , who are yourself good fortune in the dwellings of the virtuous, And ill - fortune in those of the vicious, Intelligence in the hearts of the learned, Faith in the hearts of the good and modesty in the hearts of the high born. May you protectthe universe! We have much pleasure in presenting to our readers the English translation of the Devi-mahatmya or Durga-Saptasati, popularly known as Candi. 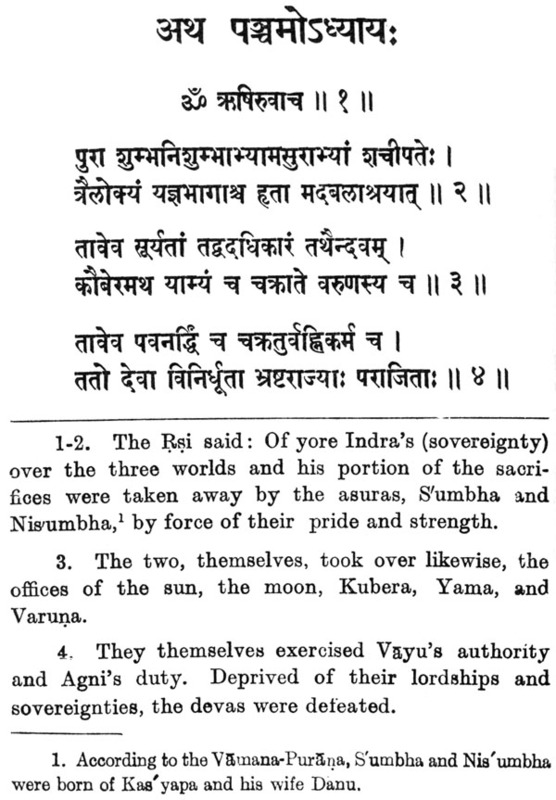 The original text has been printed in Devanagari type with running lucid English translation. Footnotes have been added wherever necessary. This is a valuable and important addition to our Sanskrit Scriptures series. There has been a consistent demand from many a friend to publish the English translation of the above book. 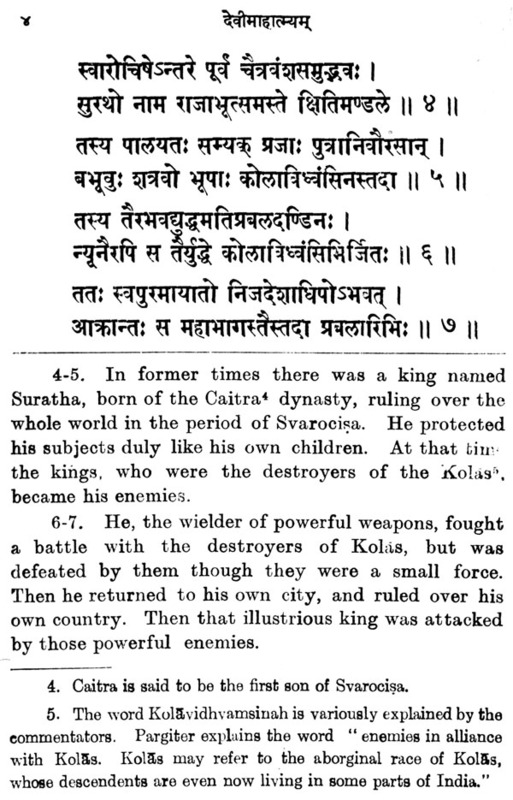 Svami Jagadisvarananda, who had already rendered into Bengali different editions of Gita and Candi, has kindly translated it into English, which has been revised by Dr. V. Raghavan, M. A., Ph. D., Head of the Department of Sanskrit, University of Madras, and thoroughly edited by Svami Adidevananda, Head of the Ramakrishna Ashrama, Mangalore. Our sincere thanks go to them. The Candi is divided into 13 chapters and consists of 700 mantras and hence it is called the Saptasati. 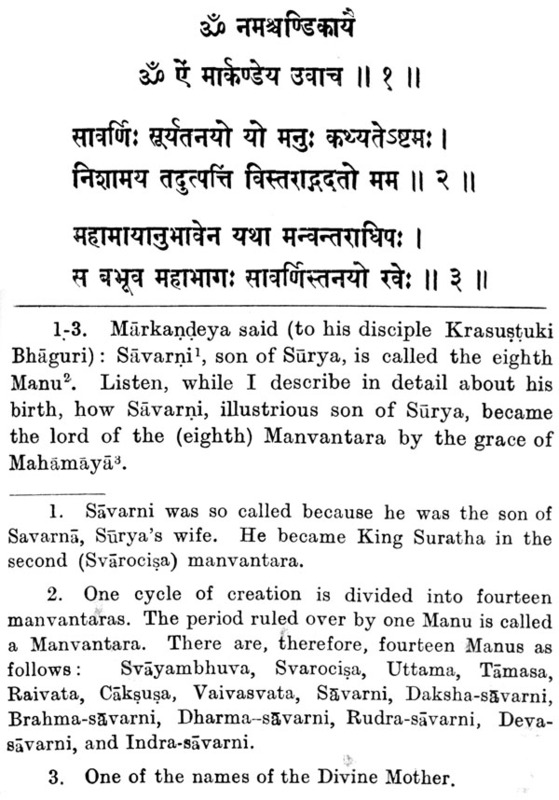 Three aspects of the Divine Mother have been depicted in the book and they are (1) Mahakali (Chapter I), (2) Mahalaksmi (Chapters II to IV) and (3) Mahasarasvati (Chapters V to XIII) and meditation on each of them has been added with English translation. 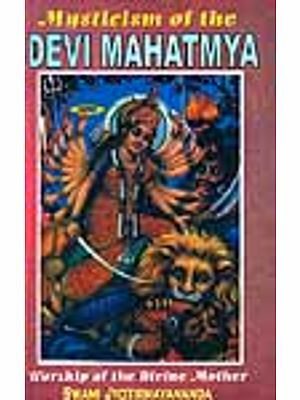 The whole of the Devi-mahatmya is chanted on sacred occasions, especially during the Durga-Puja (Navaratri). 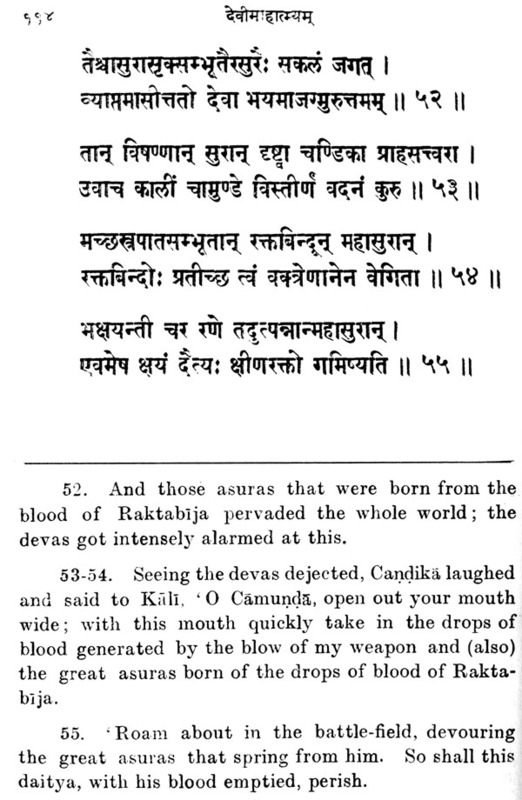 For the sake of Parayana (chanting the whole Mahatmya of the Devi) we have added Dhyana (meditation on Candika), Argala-Stotra, Kilaka-stotra and Devi-Kavaca (all salutations to Candika) in the beginning and Aparadha-Ksamapana-Stotra (hymn for forgiveness for omissions and wrong reading) and Devi-sukta at the end. 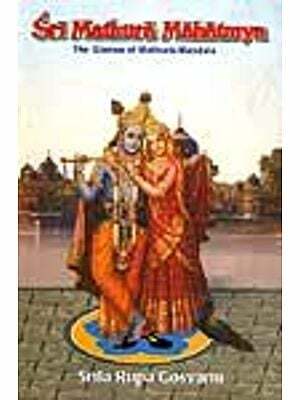 Those who intend to do the Parayana are to chant the whole book from the beginning to the end. 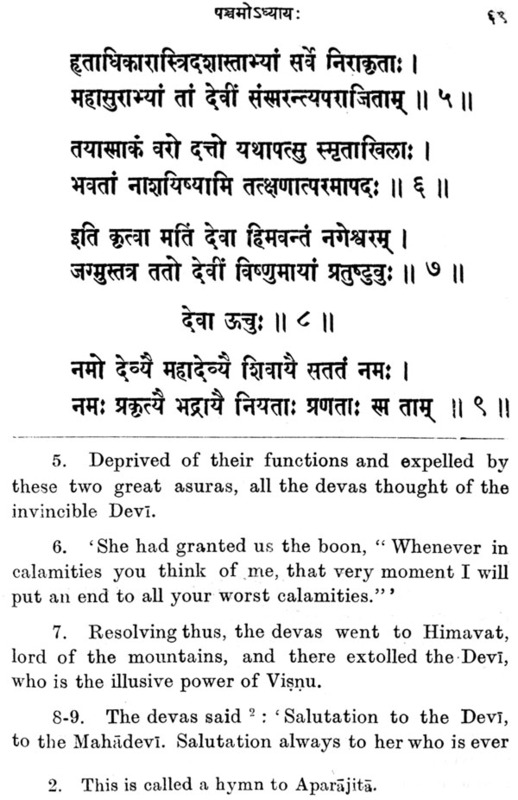 This is our first attempt to publish separately the Devi-mahatmya with English translation. We pray to the Divine Mother to shower Her blessings on those who will read this Mahatmya with Sraddha. 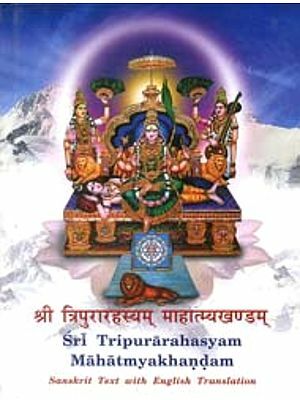 Devi-mahatmya, otherwise called Durgasaptasati or the Candi is a sacred text used by the Hindus for daily chanting like the Gita. 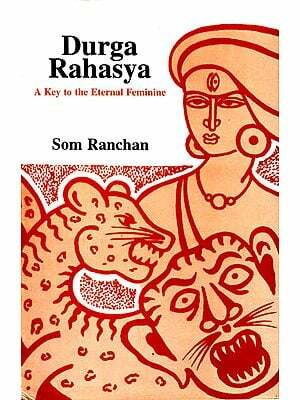 My Bengali rendering of the Devi-mahatmya, published by the Udbodhan Office of Calcutta has already undergone several editions. It popularity in Bengali has encouraged me to undertake the present English translation whose want has been, for long, keenly felt by the English knowing public. This edition is meant for them. 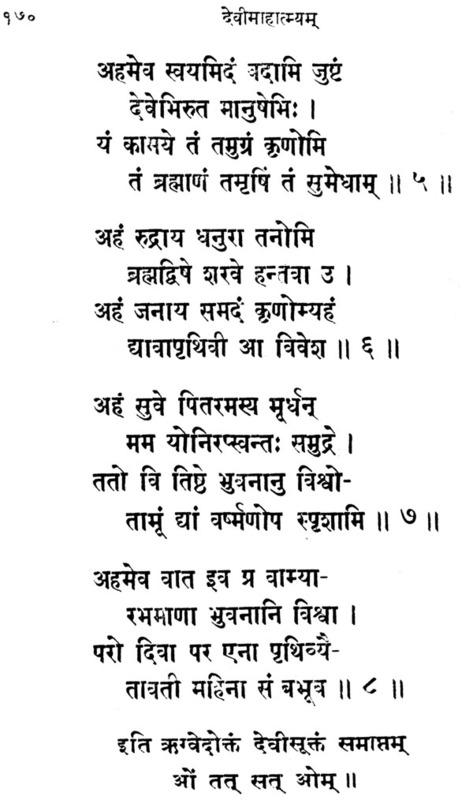 I have freely utilized the translations of Mammathanath Dutta of Calcutta and F. E. Pargiter who have translated into English the whole of the Markandeya Purana of which the thirteen cantos from LXXXI to XCIII from the Devi-mahatmya. Pargiter's translation was published in 1899 by the Royal Asiatic Society of Bengal, Calcutta. I have mainly followed Pargiter, but here and there I have differed from him, as well as from Dutta. A good Hindi rendering also has been consulted. 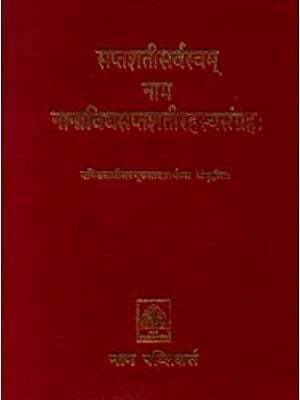 The translation made in this book is literal as far as practicable and I hope, will help the reader to understand the original Sanskrit. 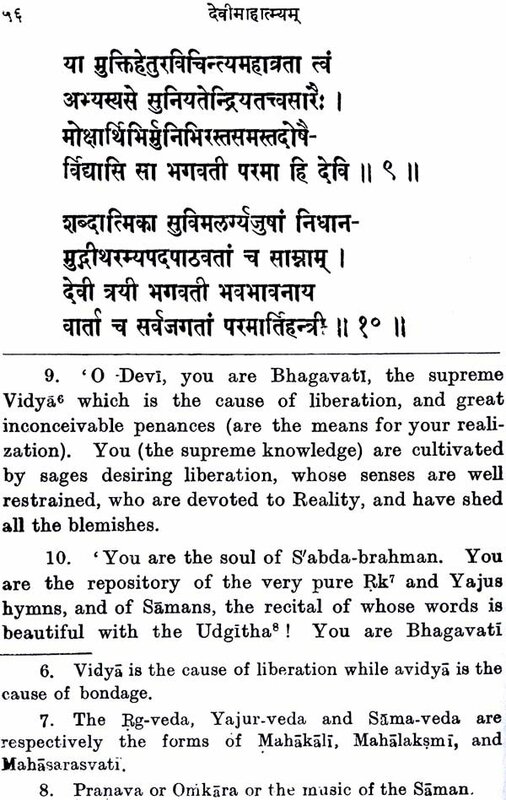 The hymns to the Devi in the cantos I, IV, V & XI are so sweet and sublime that they should, if possible, be chanted in the original. Footnotes are given from the commentaries to clarify difficult terms and proper names. To call on God as Mother is a most characteristic feature of Hinduism. Sri Ramakrishna has shown in his life that to adore God in this way is best suited for this age. Mother-worshippers like Ramaprasad, Kamalakanta and other also have inspired Bengal with this doctrine. Bengali Hindus are besides themselves with joy at the time of the autumnal festival of the Mother, when the Mother is worshipped for four days continuously in hundreds of earthen images. 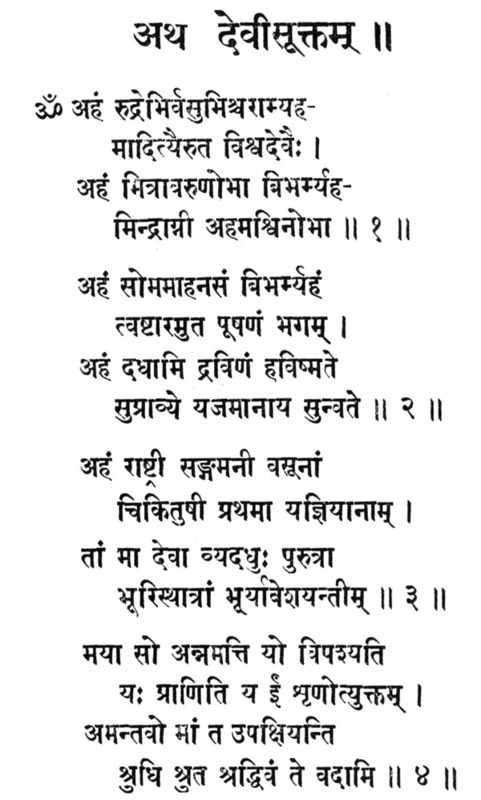 The Devimahatmya is chanted as part of the worship. Devi cult and Devi-mahatmya are popular all over India, but their hold over Bengal is unique. Through the English works and translations of the Tantrika Texts of Sir John Woodroffe and through the Life and Teachings of Sri Ramakrishna the doctrine of God as Mother has spread throughout the religious world. My humble efforts will be amply rewarded if this translation enables the English-knowing readers to understand and enjoy the work which is one of the most important texts of this cult.